In 2012, nine million disabled individuals in the United States received around $120 billion in federal disability benefits through Social Security Disability (SSD). The large expenditures have led to calls for reform of the SSD system, but it is important to realize that spending was not uniform across the United States. As the Washington Post notes, certain counties have much higher rates of disabled individuals obtaining benefits than others and this geographic difference may be the key to improving the system. 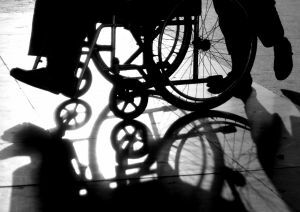 Disability benefits are notoriously difficult to qualify for throughout the entirety of the United States, with more than half of all applicants nationwide seeing their petitions denied. Disability benefits attorneys in Massachusetts can help those who are in need of disability income to make a claim or to appeal a denial of benefits so they can receive the income that they need if they cannot work. The Urban Institute analyzed the counties where the most and least people were taking advantage of the disability benefits program. The report found that the 10 counties with the highest rates of SSD benefits use within the United States are located in Kentucky, Virginia and West Virginia. By contrast, the 10 counties with the lowest rates of benefits use are found in Virginia as well as in three states in the West: Colorado, Idaho and Wyoming. Virginia, therefore, has counties with both the highest use of benefits and counties with the lowest. The differences between the highest and lowest counties are significant. For example, the highest county rate is Buchanan County in Virginia, where 20 percent of the adult population is receiving disability benefits. In each of the 10 counties with the highest disability benefits rates, more than 14.5 percent of the adult population is receiving SSD benefits. By contrast, Pitkin County in Colorado has the lowest rate of adults receiving benefits at just .6 percent and every one of the 10 lowest counties has below 1.4 percent of adults receiving SSD income. Suffolk County, where Boston is located, has less than five percent of adults receiving benefits. Prevalence of people who are disabled: Disability rates tend to be higher in the south. Economic conditions: Sharp differences in economic conditions in different counties contribute to low employment opportunities and more people receiving disability benefits since they cannot find jobs. All of the counties that have the highest rates of benefits-recipients are counties that had heavy coal mining industries that have never recovered from the decline in coal prices. State policies; Some states have stronger safety net programs like more generous Supplemental Nutrition Assistance Program benefits, which may make it possible for people to survive without going on disability. Caseworkers: Caseworkers may be more stringent in reviewing applications in some areas than in others. Knowledge of the program: Different regions may provide more information to residents about the benefits that are available to them. Understanding the reasons behind different rates of use could potentially help to shed light on ways to provide support for the disabled and thus reduce reliance on SSD programs.